Exploring how people throughout the globe have improved their lives through civic engagement is the focus of the Batalden Seminar in Applied Ethics. Susan E. Pick, professor of psychology at the National University of Mexico, will speak at 10 a.m., Wednesday, February 20 in Hoversten Chapel. Pick's lecture, "I want to, I can: Development Programs Step-by-Step Using the Human Capabilities Approach," will focus on the Yo quiero, yo puedo (I want to, I can) development programs, which have reached more than 19 million people in Mexico and another 14 countries, most of them in Latin America. She was chosen as the Batalden Seminar speaker based upon her insight as an academic and an activist. "Susan Pick exemplifies Augsburg's mission of becoming an engaged citizen in a global context, and she will assist students in thinking about their own vocations," said Matt Maruggi, assistant professor of religion and the Batalden Faculty Scholar in Applied Ethics. "She is a professor and is directly involved in work with society's poor and vulnerable. The Yo quiero, yo puedo programs have helped more than 19 million people worldwide." The lecture will demonstrate, through testimonies, how people have been improved the quality of their lives by making specific behavior changes. Pick also will share how individuals have become agents of change in their communities in four areas: education, health, citizenship, and productivity. Following the Convocation, Pick will join students for a luncheon and will also be speaking in classes in a broad range of disciplines including women's studies, social work, and political science. 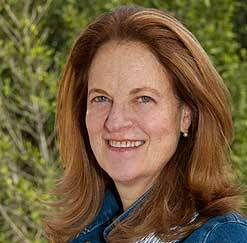 Susan Pick is the founder and president of the Mexican Institute for Family and Population Research (IMIFAP). She developed the Framework for Enabling Empowerment (FrEE), which emphasizes the importance of personal agency in academic performance, participatory citizenship, health promotion, poverty reduction, and sustainable community development. Pick's work has been featured in television, radio, print, and web media in Mexico, Venezuela, Colombia, and the United States. She is the author of more than 500 publications including scientific articles, children's books, training manuals, and textbooks. Pick holds bachelor's and doctoral degrees in social psychology from the University of London. The annual Batalden Seminar is funded by the Batalden Applied Ethics Fund, established by Abner and Martha Batalden, Paul and LaVonne Batalden, and Stephen and Sandra Batalden. The fund brings national and international authorities in the field of ethics to Augsburg College to discuss questions of applied ethics within spiritual and practical dimensions. Share your convocation experience using social media. The hashtag for the Batalden Seminar in Applied Ethics with Susan E. Pick is #Batalden. –How are you an engaged citizen through your study at Augsburg? How can you be engaged with the people of your community in your future career? –What behavior changes can you make that would improve your life and the lives of others in your community? Augsburg's 2012-13 Convocation Series of speakers explores the impact that an individual can have in a global population of 6.7 billion people. Presentations touch on topics in the arts, humanities, and sciences. Each session offers an opportunity to hear from leaders in their areas of expertise. David Weitz, Harvard University professor of physics and applied physics, will discuss the "Physics of Food" and the "Magic of Microfluids" at the Sverdrup Visiting Scientist Lectures to be held Monday, April 8 and Tuesday, April 9.